What’s new at the Museum of Family History this month? — Chaim Basist (Lida, Belarus): He and his family hid in the forest with the Bielski partisans. Hebrew/English. — Peter Kleinmann (Munkacs/Mukachevo, Ukraine). Nine of 12 chapters of his autobiography are online with more to follow very soon. He was in Auschwitz, Gross-Rosen and Flossenburg. — “The Jews of Krakow’s Kazimierz District.” 1936 archival film shows Krakow’s Kazimierz Jewish district. Most buildings can be visited today and are in a similar condition – only the people who walked those streets are long gone. Note: A YouTube version of this film states the years are 1938-9, not 1936. — “The Ghettos of Dabrowa Grnicza and Bedzin” (10:51). Two parts shot in the ghettos of Dabrowa Grnicza and Bedzin, probablywhen the ghetto was founded in May 1942, although deportations began in October 1940. Despite cooperation with the occupiers, as shown in this film, several large deportations took place in 1942; the last major ones were in 1943: 5,000, 22 June 1943; 8,000, around 13 August 1943. The 1,000 remaining Jews were subsequently deported. An uprising took place August 1943, was quelled and the ghetto eliminated. Both films are in the Polish film archive (ul. Chelmska, Warsaw. — Jolson stars in and sings in the film trailer to “Hallelujah, I’m a Bum.” Don’t forget to visit the Museum’s large Al Jolson exhibit, “The Immortal Al Jolson” (see and hear many more videos, more than 40 sound clips). — Since the Czernowitz Conference: In October 2008, Boris Sandler, Forverts editor-in-chief, gave a Yiddish speech at the IAYC (International Association of Yiddish Clubs) conference about the development of Yiddish literature since the 1908 Czernowitz conference on the future of the Yiddish language. A transcript of the talk is now available in English and can be found within the “ERC Lecture Series” at the Museum’s Education and Research Center. Visit the Museum of Family History online. Learn what’s new at the Steve Lasky’s blog. Questions for Steve on new exhibits or material you’d like to share? Contact him. A two-year project has been launched to digitize, for online access, Jewish culture collections at 10 European institutions. The European Commission provided $2 million for Judaica Europeana‘s $4.13 million project, which will digitize 10,500 photos, 1,500 postcards and 7,150 recordings, along with several million pages from books, newspapers, archives and press clippings, from the project’s partner libraries, archives and museums. It is part of a larger EC project to digitize general cultural resources. Judaica Europeana (JE) will also work on other digital collections for comprehensive coverage of Jewish life in European cities. An aim of the project is to demonstrate how the addition of Judaica content leads to improved use in discovery, delivery, and cultural heritage resource integration for multilingual multicultural use by scholars, cultural heritage professionals, educators and students, cultural tourists and the general public. For more information, see the website above. 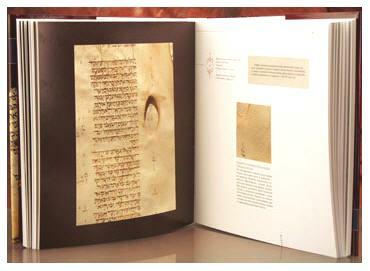 The virtual Museum of Family History also has material for researchers of Sephardim. — Synagogues of Asia: Burma, China, Hong Kong, India, Lebanon, Singapore, Tajikistan, Turkey [Asian side]. 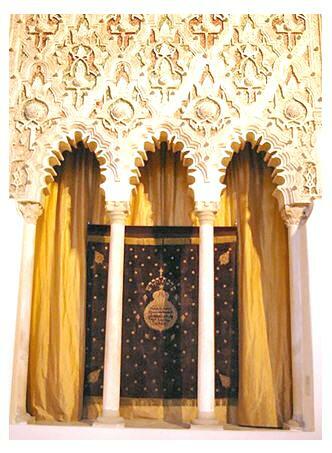 — Synagogues of Spain. The photo at left is the El Transito Synagogue in Toledo. Museum creator Steve Lasky wishes to include more pre-war family photos. Readers with such photos are invited to contact Steve. An interactive children’s history museum will open at the New York Historical Society in November 2011. Genealogists will be happy that the museum’s planned interactive features will include a place where children can videotape their own histories. There will be a place to use maps and documents to solve historical mysteries. Perhaps genealogical societies – Jewish and general – could suggest that family history classes be offered for youngsters? Children 12 and under will receive free admission to the society and free admission to the new museum. Read the New York Times story here, which details the 4,000-square-foot “museum within a museum,” focusing on young New Yorkers, as part of the major renovation ($60 million) of the historical society building. It will be called the DiMenna Children’s History Museum. According to the story, the new museum will focus on children, such as Alexander Hamilton who came to New York to attend college and the young newspaper sellers of a century ago. Exhibits will come from the society’s collections and will be aimed at about a fourth-grade level. Information about the “orphan trains” that took thousands of destitute children from New York to families in rural and farm communities across the country will be accompanied by a huge archive from the Children’s Aid Society: journal entries from social workers, children’s artwork, photographs and letters. Children will also be able to sit next to a cutout of a composite orphan on a three-dimensional train, listen to train noises and see a map of places along the routes. In 2007, there were 243 children’s museums in the US, with 78 being planned. The new project will be one of the few history museums specifically for children. 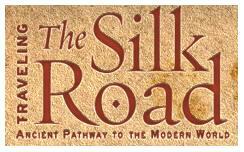 Travel the exotic Silk Road at the American Museum of Natural History, during its “Living in America: Voices of the Silk Road” from noon-5pm, Saturday and Sunday, January 16-17. The program is in conjunction with the current exhibition, Traveling the Silk Road: Ancient Pathway to the Modern World. In addition to the weekend activities, other special programs will take place in January, such as “Global Kitchen: Aromatics Along the Silk Road,” at 6.30pm, Wednesday, January 20, and “Caravanserai: A Perfumed Tasting Menu,” at 7pm, Thursday, January 21. In February, there are events for students also, such as the Silk Road Camp for 2nd-3rd graders (Monday-Friday, February 15-19).See these other events here. See the special kids’ page. The Silk Road was also followed by Jewish merchants and traders and many other travelers of diverse religions and ethnicities who interacted with the peoples who lived along the way. The weekend program includes performances, conversations and hands-on activities. For the details of speakers and presenters, click here. Saturday: Folk paper cutter, calligrapher, face painting, Arab folktales, Arabic calligraphy, exquisite textiles from India, Silk Road spices, cultural Central Asian treasures. Music: Ukrainian bandura, Japanese fue, Tibetan folk singer, Bukharan Jewish singer, Kyrgyz traditional musician, Iranian vocalist and qanun. Sunday: Music, dance, acrobatics from three unique cultures with Silk Road ties. Gagaku, the oldest traditional orchestral, Chinese Theatre Works music, acrobatics, dance of the Tang Dynasty; Bukharan Jewish music ensemble Maqam performing shashmaqam, vocal performance, stringed and percussion instruments. See the link above for more information. Sessions are free with museum admission.